This level has medium difficulty. 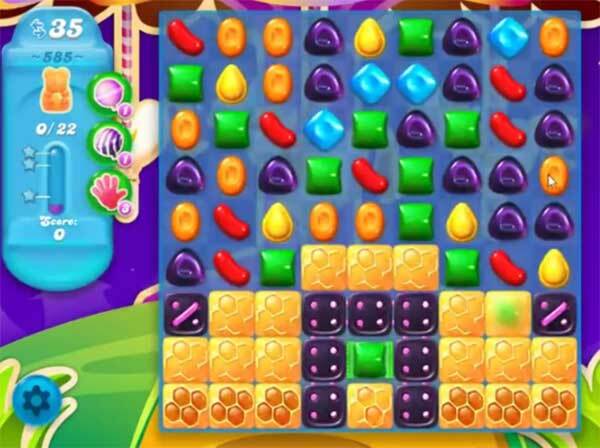 For this level try to combine purple candy and make special candy to get more special candies. That trick will help to break the honey to save more bears. Or play near to honey to eat them to save all within 35 moves. This is video is level 584. Do you have level 585? I do need some help with that level. Thank you!